RaysWeather.Com announced on their Facebook page this week that they will be releasing a webcam and weather site for the entire length of the Blue Ridge Parkway. RaysWeather.Com has provided detailed weather forecasts for northwestern North Carolina since 1999. The new website will include "about 18 weather stations and webcams when we are done in January 2013". The project is funded by the Blue Ridge Parkway Foundation. As a sneak peak you can view the camera at the Mt. Pisgah Campground. The webcams allow you to select a 12-hour (or 24-hr) tab to view weather in a time-lapse loop. 10) Back in February the Appalachian Trail Conservancy granted $2,000 from its specialty license plate funds to the Friends of the Smokies to help reduce black bear access to backpacker food along the Appalachian Trail in the Smokies. 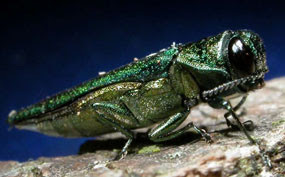 9) In June Great Smoky Mountains National Park officials confirmed the presence of invasive emerald ash borer beetles in the park. The beetles were discovered near Sugarlands Visitor Center and in the Greenbrier area. In November an infestation was discovered on an administrative trail in the Greenbrier area. 8) According to a study released by the National Park Service in January, Great Smoky Mountains National Park is not only the nation's most visited national park, but it also tops the 397 national park units in visitor spending. 7) On July 1st, Mt. LeConte reached the highest temperature ever recorded atop the mountain. During the middle of a three-day heat wave, the thermometer topped-out at 81.5 degrees. 6) In October, Trails Forever officials announced that the first phase of the multi-year, Chimney Tops Trail Rehabilitation project was completed. 5) On June 8th a 44 year-old female was sexually assaulted while hiking on the Gatlinburg Trail. The victim received multiple stab wounds to the neck, shoulder and hand. She made her way to the Gatlinburg Bypass where she flagged down a passing motorist for assistance. The victim was then taken by helicopter to the University of Tennessee Medical Center where she was treated for her injuries. The assailant still hasn’t been caught, even after additional clues were released. 4) Back in March Great Smoky Mountains Superintendent Dale A. Ditmanson announced that the proposal to begin collecting backcountry camping fees had been approved by the National Park Service. Ever since it was announced, the fee proposal has been an on-going controversy within the backpacking community, and has resulted in a lawsuit by the Southern Forest Watch. 3) In late October Hurricane Sandy dumped 34 inches of snow on Mt. LeConte, and 36 inches at Newfound Gap. 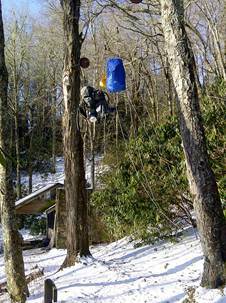 The snow caught many people of guard, including one Appalachian Trail thru-hiker who became stranded on a remote section of trail between Pecks Corner and Tricorner Knob. The 56-year-old North Carolina man had to be airlifted from the trail, which was caught on video. 2) One of the great mysteries in the Smokies over the last year occurred when two young men went missing in two separate incidents, within one week. On March 15th Derek Leuking went missing from Newfound Gap. Five days later Michael Cocchini’s abandoned car was found about a mile south of the Sugarlands Visitor Center. The circumstances surrounding both cases were a bit odd. In August, park employees discovered items thought to belong to Cocchini near the area where his vehicle was originally found on Newfound Gap Road. 1) The biggest story of the year occurred on July 5th when an extreme thunderstorm, known as a derecho storm, swept through the west end of Great Smoky Mountains National and killed two visitors, caused multiple injuries, felled thousands of trees, and closed several trails for many days and weeks afterwards. The storm was caught on video here and here. The December issue of the Carolina Mountain Club newsletter published a letter by the Friends of the Mountains-to-Sea Trail that outlines their routing recommendations for the MST through the Great Smoky Mountains. * a northern route through the Great Smoky Mountains National Park that takes advantage of the trail the CMC is about to complete to Heintooga Road. * a southern "river valley" route that follows the Tuckaseegee River from Bryson City through Sylva, returning to the GSMNP route at Waterrock Knob. To read a statement from Marcia Bromberg, the CMC President, please click here. 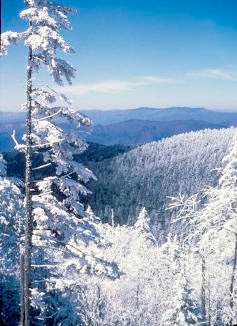 For more information on hiking the MST through the Smokies - as it exists right now - please click here. Happy New Gear! Save up to 80% Off - Only at The Clymb through January 2nd at 859a PST. 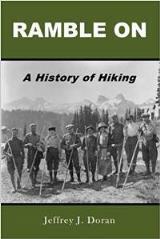 A couple of weeks ago I posted some information about the "First Day Hikes" program taking place across the country. Yesterday, the Tennessee State Parks website published their full list of scheduled hikes. Tennessee State Parks will sponsor free, guided hikes on New Year’s Day in commemoration of the park system’s 75th Anniversary. Each state park will host its own special hike in the first few days of the New Year. From Meeman-Shelby to Fall Creek Falls to Roan Mountain and every state park in between, the 2013 First Hikes are designed for all ages and abilities. Some hikes will be approximately one mile in length and tailored for novice hikers, while others are lengthier and geared toward more experienced hikers. For a more in-depth look into planned First Hikes across the state, please visit www.tn.gov/environment/parks/firsthikes/. This photo was taken on the Bullhead Trail, near the junction with the Rainbow Falls Trail. When snow and ice make passage on the Alum Cave Trail a little sketchy, the Bullhead Trail, or the Rainbow Falls Trail are probably your best options for the hike up to Mt. LeConte in the winter. While enjoying a visit to Great Smoky Mountains National Park, backpackers like to keep a respectable distance from black bears. With help from the Appalachian Trail Conservancy (ATC) and the Friends of the Smokies, they can continue to do so in some of the most backpacker friendly wilderness hiking in the Southern Appalachians. The ATC has provided $800 from its specialty license plate funds to help reduce black bear access to backpacker food along the Appalachian Trail, a national park unit within the Great Smoky Mountains National Park. Using the grant funds from the ATC, Park staff and volunteers have installed cables that backpackers and trail improvement crews use to store food out of the reach of black bears. Cabling systems were renovated at the Derrick Knob shelter along the A.T. and installed at the new base camp of the Rocky Top Trail crew. Friends of the Smokies and the ATC have partnered in many additional ways to decrease the impacts on GSMNP from the heavy amount of use that the A.T. and Park see as well as impacts from overnight sites on wildlife. Privies have been repaired and all of the backcountry shelters along the A.T. in the Smokies recently renovated. Additionally, through the Ridgerunner program the two organizations provide a backcountry presence on the A.T. to help ensure a safe and pleasant experience. The U.S. Forest Service yesterday announced that it has repaired the Balsam Lake dam and that the lake is being filled. “We look forward to the stocking of fish in the spring, so visitors can again enjoy this majestic water” said Mike Wilkins, Nantahala District ranger, Nantahala National Forest. In recent weeks, the Forest Service worked to fix a leak in the dam’s splash boards that control lake levels. The design of the previous splash boards allowed too much water to pass around the end of the boards. A slight adjustment was made to the riser board installation, which controls lake levels. The adjustment will help maintain proper lake levels in the future. Balsam Lake is located in the Nantahala Ranger District of the Nantahala National Forest. First Day Hikes will be offered in every North Carolina state park and state recreation area Jan. 1, giving everyone an opportunity to exercise and celebrate nature as a New Year’s Day tradition, according to the N.C. Division of Parks and Recreation. On the 2012 New Year’s Day, 1,392 hikers in North Carolina joined rangers and volunteers to walk a combined 4,573 miles along trails in the state parks and state recreation areas. For the second year, North Carolina’s state parks system will partner with American’s State Parks and the National Association of State Park Directors to nationally promote First Day Hikes. There will be at least 40 guided hikes in the North Carolina state parks system and more than 600 throughout the 50 states as part of the event, ranging from easy to challenging. At Falls Lake State Recreation area, a scavenger hunt will be part of a kid-friendly hike, and Hammocks Beach State Park plans an “Early Bird Hike” at 8:30 a.m. Hanging Rock State Park will present the “Five Overlooks Challenge, a 10-mile excursion across the park’s scenic peaks, while hikers at Weymouth Woods Historic Nature Preserve will visit the world’s oldest known longleaf pine. The Eno River Association will offer both long and short hikes as part of a decades-old tradition at Eno River State Park. Details about First Day Hikes in North Carolina can be found under “Education” at www.ncparks.gov and at www.americasstateparks.org, which also lists all hikes nationally. Hikers of the Appalachian Trail (AT) have a new shelter where they can rest their bones. The U.S. Forest Service today announced the completion of the Long Branch Shelter, located in the Standing Indian Basin in the Nantahala National Forest. The shelter is located at the head of the Long Branch Drainage along the AT, a little more than two miles north of Forest Service Road 83. The shelter is about 17 miles from the City of Franklin. The Appalachian Trail Conservancy paid for the supplies. 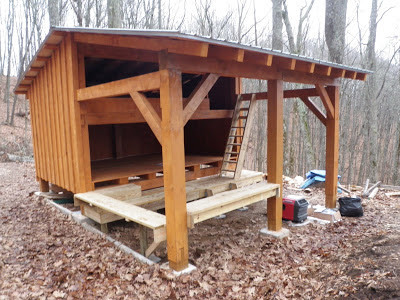 The Nantahala Hiking Club provided the labor, and local contractor Goshen Timber Frames provided the timbers and assisted in frame assembly. Nantahala Ranger District employees provided heavy machinery and logistical support during construction. The Long Branch Shelter replaces the old Big Springs Gap Shelter, which was located just north of Albert Mountain. The Big Springs Gap Shelter will soon be dismantled because it has fallen into disrepair. The site had also suffered severe soil compaction and erosion over the years. 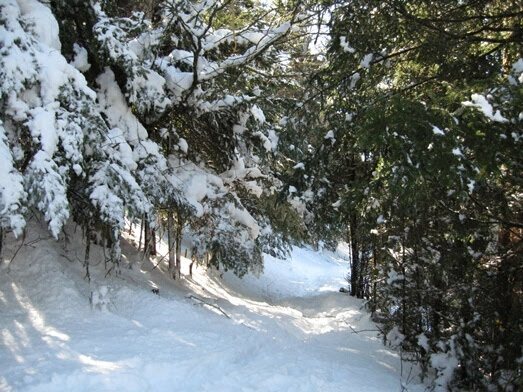 Start the year off on the right foot by taking a First Day Hike in a state park near you. 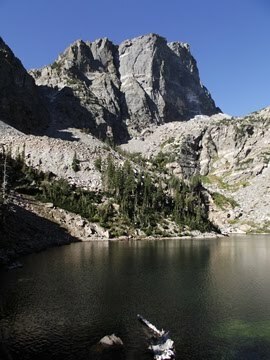 All across the country state parks will be offering guided First Day Hikes on New Year’s Day 2013. The idea for First Day Hikes originated over 20 years ago at the Blue Hills Reservation State Park in Milton, Massachusetts. The program was launched to promote both healthy lifestyles throughout the year and year round recreation at state parks. Many other states have offered outdoor recreation programs on New Year’s Day, however, all 50 state park systems have now joined together to sponsor First Day Hikes. An organization called America’s State Parks has compiled an online database of more than 600 hikes on their website. You can find a First Day Hike by clicking here. There are numerous options for a First Day Hike in the Great Smoky Mountains region. Countdown to Christmas! 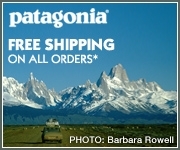 Last chance to save up to 85% on Camping Gear! The Nantahala Ranger District today announced season road closures from Jan. 2 to April 1, 2013. During this period, the following roads are susceptible to freezing and thawing, and they become soft and easily damaged by traffic. The roads to be closed are Boardtree (#388), Upper Nantahala (#67), Deep Gap (#71), Shingletree Branch (#713), Shope Fork (#751), Ball Creek (#83), and Connelly Creek (#86 through Alarka-Laurel), Wayah Bald (#690, Little Yellow Mountain (#367), Big Creek (#4567), Cold Spring Gap (#4663), Moses Creek (#4651), Old Bald Rd (#4652), Sugar Creek (#4665), Gage Creek (#4648), Wolf Mountain (#4663C), Charley Knob (#4654), and Beech Flats (#4668). Winespring/Whiteoak (#711) will be left open as long as weather conditions permit. 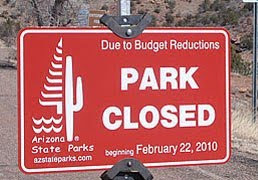 In addition, the Wayehutta Off-Road Vehicle area will close on Dec. 15, 2012. A proposal to realign Cedar Creek and Belle Grove National Historical Park with Shenandoah National Park will be discussed next week during a park advisory commission meeting in Strasburg, Virginia. The December 20th meeting will include updates on several new projects, as well as a discussion on the proposed realignment of Cedar Creek and Belle Grove NHP with Shenandoah National Park. Individuals who are interested are encouraged to attend the December 20, 2012 meeting, which will take place at the Strasburg Town Hall, 174 East King Street, in Strasburg, Virginia. The meeting will begin at 8:30 a.m. and is open to the public. Questions may be directed to Diann Jacox, Park Superintendent at (540) 868-9176. Cedar Creek and Belle Grove NHP commemorates a nationally significant Civil War landscape and antebellum plantation by sharing the story of Shenandoah Valley history from early settlement through the Civil War and beyond. 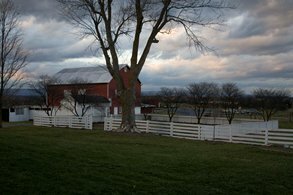 The park is located within the Shenandoah Valley Battlefields National Historic District, a National Heritage Area. John Muir said this after visiting the future Glacier National Park area in the early 1890s. He obviously knew something back then that's taken researchers some 120 years later to prove. In a study published this week on PLOS ONE, researchers from the University of Kansas and the University of Utah show that backpackers score almost 50% higher on creativity and problem-solving tests after spending four days in nature - while disconnected from all electronic devices. 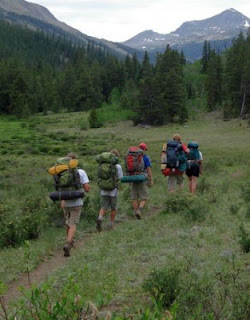 The study was conducted on 56 people who went on 4-to-6 day wilderness hiking trips, organized by Outward Bound, in Alaska, Colorado, Maine, and Washington. No phones, tablets, computers, or other electronic devices were allowed on the trips. Of these people, 24 took a 10-item creativity test the morning before the trip, and 32 took the test on the morning of the trip's fourth day. 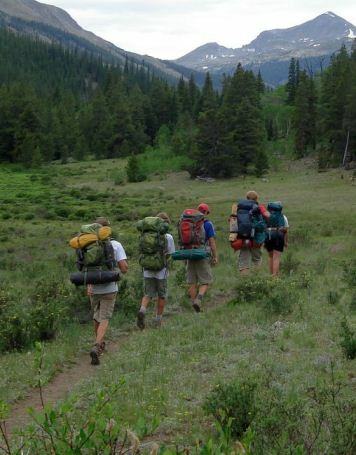 People who had been backpacking for four days got an average of 6.08 of the 10 questions correct, compared with 4.14 among people who had not yet begun the backpacking trip. The research, however, could not conclude as to whether the increase in creativity was a result of being immersed in nature, or from being disconnected with technology. To read the research article from the study, please click here. Once again the Land Between The Lakes (LBL) National Recreation Area will be offering bald eagle viewing excursions this winter, which will include van trips and river cruises. Several opportunities are available to participate in eagle viewing trips during January and February. LBL guides take visitors to the best wildlife viewing hot spots on the 170,000-acre National Recreation Area. Visitors will most likely see migratory bald eagles, gulls, and other waterfowl, as well as native wildlife species, such as deer and turkey. Enjoy viewing the eagles December through February. Van trips meet and depart from the Golden Pond Visitor Center unless otherwise indicated. Dress appropriately for the weather, wear shoes suitable for moderate walking, and don’t forget to bring binoculars and field guides. Back by popular demand, LBL will also host a weekend of river cruises January 19-21, including a special Martin Luther King, Jr. Day cruise January 21, for up close views of eagles from the water. Despite cold temperatures that usually keep people indoors, bald eagles thrive in winter conditions. What better way to view bald eagles than by relaxing on a river cruise in the comforts of the spacious and beautifully appointed CQ Princess? The 96-foot luxury yacht offers wonderful views from both outside on deck and indoors where it’s toasty warm! Reservations and full deposits are required for all trips. 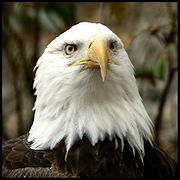 Because eagle excursions are very popular, early reservations are encouraged. Gift certificates are available. “LBL is a major wintering spot for bald eagles from northern areas such as Michigan and Canada,” stated Carrie Szwed, Nature Station Public Programs Coordinator. “Due to excellent coordination between state and federal agencies in past years to restore eagle habitats and populations, we have seen tremendous increases in eagles wintering and nesting in this area." Reservations & full deposits are required for all trips. For more information or to reserve your space, call 270-924-2020 weekdays, 8am-4:30pm. River Cruises: Cruises are $60 per person (meal included). Tours depart from Kenlake State Resort Park Marina. Visit www.cqriverside.com for a peek at the CQ Princess luxury yacht. For additional information and prices visit www.lbl.org or call 800-LBL-7077 or 270-924-2000. The USDA Forest Service today announced that a portion of Davis Creek Road on the Tusquitee Ranger District, Nantahala National Forest, will remain closed to thru traffic until Sept. 1, 2013 to complete road improvement work. Residents of the Tipton Creek Community will be able to access their property from both ends of Davis Creek Road. The contract road work affects approximately three miles of the National Forest System Road (NFSR) 420-1 (also known as Davis Creek Road or Tipton Creek Road), from the intersection of NFSR 420-5 south to the intersection of NFSR 420-4. This construction work is incomplete and currently inactive, but will resume as soon as possible. For the second time in two years, the Blue Ridge Parkway Foundation announces a year-end giving initiative - the 469 Challenge. Inspired by the miles on the Blue Ridge Parkway, the 469 Challenge is an end-of-year effort to bring in one donation for every mile. According to Director of Development Christy Bell, “The 469 Challenge is our way to show the Parkway what it means to us. This campaign focuses on the act of giving, and gifts of any size will help us complete this challenge. This is a great opportunity for all Parkway neighbors and enthusiasts to get involved and really make a difference!” The 469 Challenge takes place during the last two months of the year, In 2011, the Foundation raised 452 donations towards the 469 Challenge. As of December 5th, the Foundation has raised 233 donations towards the 2012 Challenge. As the primary fundraiser and trusted steward for the Parkway, the Blue Ridge Parkway Foundation is charged with preserving the past, enhancing the present and safeguarding the future of the Parkway. Since its founding in 1997, it has worked in close cooperation with the National Park Service to meet the needs of the Parkway, providing over $3.4 million to fund needed projects that enhance and protect the natural, cultural, historic, and recreational qualities that make the Parkway an American treasure. In 2012, the Foundation has funded projects at popular spots including Graveyard Fields near Asheville, the Heart Pond and Price Lake in Blowing Rock, and Abbott Lake near Roanoke. The Foundation also funds year-round initiatives like Parks as Classrooms, allowing interpretive rangers go into schools in Parkway communities to connect students to the natural world and the cultural heritage of the region in a way that is real and meaningful, making over 45,000 contacts with schoolchildren annually. With over 16 million visitors a year, the Parkway is the most visited unit of the National Park Service, more than Yellowstone, Yosemite and the Grand Canyon combined. Yet with no entrance fee like these and other parks, declining federal budgets and the vast needs of an aging and expansive resource, the Parkway must rely on those who value it to continue to be the priceless resource treasured by millions. The Blue Ridge Parkway Foundation seeks the help of all Parkway neighbors and enthusiasts to complete the 469 Challenge to help protect the Parkway for today and the future. You can learn more or donate online at www.brpfoundation.org/469. The Appalachian Trail Conservancy (ATC) seeks to fill fifteen volunteer positions as Appalachian Trail (A.T.) Community Ambassadors. These Ambassadors will support the A.T. Community™ program and their designated communities with outreach, education, local projects, events and initiatives in 2013. Applications are being accepted through December 20, 2012. Launched in 2010, the A.T. Community™ program recognizes and thanks communities for their role in promoting the A.T. as an important community, national and international asset. The program also assists communities with local initiatives such as sustainable economic development through tourism and outdoor recreation, while preserving and protecting the A.T. experience. Ambassadors played a key role on the local community level to bolster volunteerism and stewardship of the Trail. They coordinate and support events in their local community, reach out to non-traditional hiking audiences, and/or recruit local citizens to work on maintenance, management and conservation projects on the A.T. This year’s Ambassadors did everything from providing a series of classes and workshops for local residents, to leading hikes, including an African American History Hike in Harpers Ferry, West Virginia, which drew interest from across the region. These positions offer volunteers the chance to gain experience in volunteer recruitment and coordination, play a key role in A.T. cooperative management partnerships, and make a difference in their own communities. “The Appalachian Trail Conservancy is excited about expanding its volunteer base by providing A.T. Ambassadors to designated A.T. Communities™ who help increase local stewardship of public lands and support healthy lifestyles for community citizens,” stated Julie Judkins, Community Program Manager of the ATC. The ATC was founded in 1925 by volunteers and federal officials working to build a continuous footpath along the Appalachian Mountains. Stretching from Georgia to Maine, the A.T. is approximately 2,180 miles in length, making it one of the longest continuously marked footpaths in the world. Volunteers typically donate more than 220,000 hours of their time doing trail-related work each year, and about 2 to 3 million visitors walk a portion of the A.T. each year. This year also marks the 75th anniversary of the completion of the A.T.
For more information or to apply contact Julie Judkins at 828-254-3708 or email jjudkins@appalachiantrail.org. Walkabout in the Smokies (filmed with the Nikon d800) from Horizonline Pictures on Vimeo. Great Smoky Mountains National Park is pleased to announce that the CD, Old-Time Smoky Mountain Music, produced by the Park's nonprofit educational partner, Great Smoky Mountains Association, has been nominated for a Grammy Award. The CD includes 34 historic songs, ballads, and instrumentals recorded in 1939 by "song catcher" Joseph S. Hall. The Recording Academy announced the Grammy nominees on December 5 at a live program broadcast from Nashville and televised by CBS. Great Smoky Mountains Association's executive director Terry Maddox said, "This has been a huge surprise and a huge honor for a small association like ours. We're overjoyed at the nomination and proud that we've played a role in preserving these very special recordings." The little-known Smoky Mountain recordings were collected when Hall was a young graduate student on a project to collect genuine Smokies speech and music. The creation of Great Smoky Mountains National Park in the 1930s forced hundreds of families to pack up and leave their mountain homes and relocate elsewhere. Hall's mission was to preserve as much as he could before the unique culture had dispersed. Performers Hall recorded were influenced both by their unique traditions as well as modern inventions like record players and radios. Even though the stereotypical mountain cabin had no such appliances and its residents were thought to be utterly cut off from the outside world, in reality, even in 1939, many folks gathered around their music machines to listen to stars like Jimmie Rodgers, the Carter Family, and Roy Acuff. Their music evolved like music everywhere, blending the old and new, the local with the national. Songs featured on the CD include "My Home is in the Smoky Mountains," "Don't Forget me Little Darling, Mule Skinner Blues, Ground Hog, On Top of Old Smoky, and Up on Pigeon River." As part of Great Smoky Mountains Association's effort to produce the CD and preserve the cultural history of the area, the producers issued news releases throughout the region to track down any surviving musicians featured on the recordings or their descendants. The response exceeded their expectations. At least 18 relatives of the original musicians featured on the CD responded enthusiastically and sent photographs and anecdotes about their relatives. Two of the musicians recorded in 1939 were still alive. The photos and information were incorporated into the 40-page liner note booklet that accompanies the CD. Three scholars integral to the development of the CD and its extensive liner notes were Dr. Michael Montgomery of the University of South Carolina, Dr. Ted Olson of East Tennessee State University, and Park Ranger Kent Cave of Great Smoky Mountains National Park. Dr. Montgomery has dedicated decades to preserving Hall's works and publishing materials related to his collections, including the Dictionary of Smoky Mountain English. Dr. Olson is an accomplished banjo player and professor of Appalachian Studies. He is also editor of the Journal of Appalachian Culture. Ranger Cave is a renowned expert on Smoky Mountain history and co-editor of Smokies Life Magazine, History Hikes of the Smokies and many other publications. Others contributing to the project include Lisa Horstman, graphic artist and cover designer, John Fleenor, sound engineer, Betsy Layman, lyrics transcriber, and Steve Kemp, co-editor and co-producer. 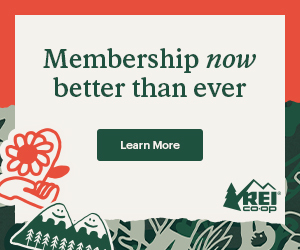 Great Smoky Mountains Association is a private non-profit organization whose mission it is to support the preservation of Great Smoky Mountains National Park through education, interpretation, and research. Established in 1953, the Association has since provided over $29 million in support to the national park. To learn more about the association's projects and membership opportunities, please click here. For more information regarding the Grammy Nomination, please visit http://www.grammy.com/nominees. 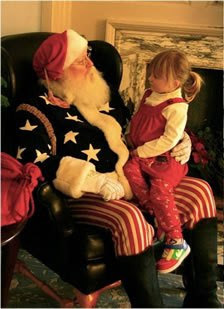 On Saturday, December 15, Great Smoky Mountains National Park will host a Holiday Homecoming at the Oconaluftee Visitor Center. Park staff and volunteers will provide hands-on traditional craft demonstrations from 10:00 a.m. to 12:30 p.m. Children and adults will have the opportunity to make a corn shuck doll, buzz button, and cinnamon ornament to take home. Visitors will be encouraged to make a cinnamon ornament to hang on the visitor center tree for years to come. The visitor center will be decorated for the holiday season and will include an exhibit on Christmas in the mountains in the past. Hot apple cider and cookies will be served on the porch with a fire in the fireplace. The Oconaluftee Visitor Center is located on Newfound Gap Road (U.S. Highway 441), two miles north of Cherokee, N.C. For more information call the visitor center at (828) 497-1904. All activities are free and open to the public. Support of this event is provided by the Great Smoky Mountains Association. While conducting a surveillance operation on the morning of Sunday, December 2nd, a ranger saw what appeared to be a man breaking into a vehicle parked at the Chimney Tops Trailhead on Newfound Gap Road. The man then left the area in a Ford pickup. When rangers attempted to stop the truck on Little River Road west of Sugarlands Visitor Center, the man fled and continued to elude rangers until he exited the park at the Townsend Wye. Once outside the park, rangers turned over the pursuit to Blount County Sheriff’s Office deputies, who took the 38-year-old Tennessee man into custody after he crashed his truck. Rangers and special agents subsequently confirmed the theft of property from a visitor’s Ford Explorer parked at Chimney Tops Trailhead. The investigation of the offenses occurring within the park continues; federal charges are anticipated. The University of Tennessee, Knoxville, Libraries has released a free online bibliography of Great Smoky Mountains material. “The Database of the Smokies” (DOTS) provides citations to written works about the Great Smoky Mountains National Park and bordering communities from 1935 to the present. The bibliography is indexed by subjects and also searchable by keywords to accommodate different search strategies. Links to the full text of resources are provided when available. Sources published before 1935 are covered in the upcoming annotated bibliography, Terra Incognita: Writings on the Great Smoky Mountains from 1544 to 1934. To visit the database, please click here. The reports look at environmental issues facing Gorges State Park in the mountains of Transylvania County, Eno River State Park in Orange and Durham counties, and Fort Macon State Park on Bogue Banks near Morehead City. The series was written and produced by students in the school’s Medical and Science Journalism Program as part of professor Tom Linden's “Science Documentary Television” course. “This series focuses on three of our state’s natural and historical treasures,” said Linden, who narrated the reports and served as executive producer. UNC-TV videographers Mike Oniffrey and Pete Bell shot the series, along with additional videography supplied by the students and Patrick McMillan, a Clemson University biology professor. "The learning experience between state parks, UNC, Dr. Linden and his students demonstrates the tremendous opportunities made possible through partnerships," said Lewis Ledford, state parks director. "We greatly appreciate the commitment and hard work of the students and the public outreach and education benefits created through this partnership and we look forward to similar cooperative projects in the future." Ledford and Jonathan Howes, former secretary of the N.C. Department of Environment and Natural Resources and former chair of the N.C. Parks and Recreation Authority, assisted the class with the project. The first part of the series examines how a temperate rain forest in Gorges State Park supports one of the most diverse ecosystems in the eastern United States. The second report tells the story of an exotic plant from Asia that threatens to upset the natural ecosystem in the Eno River. The final report traces the long battle to save Fort Macon from the ocean's relentless onslaught.